Our raw food detox program shows you how to integrate raw food into your life so that you can experience the amazing mind, body and spirit benefits of eating a high raw diet. It’s brilliant for beginners and for those who want to expand their raw food knowledge and self-understanding. Our detox program is not purely about raw food. It helps you to understand more about yourself so that you can move forward in life with confidence and clarity. To participate in a Raw Freedom detox program all you need is access to a telephone, a computer and a printer. You can follow it even when you’re on holiday! Below is a brief overview of Raw Freedom’s Vitality Detox. What: Online raw food group detox programme with weekly menus, easy and delicious recipes and shopping lists to take the hard work out of eating raw food. 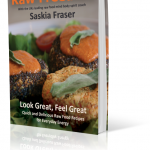 you want to discover what a balanced raw food diet looks and feels like. There are lots of detox programs out there, so why choose the Raw Freedom Vitality Detox? 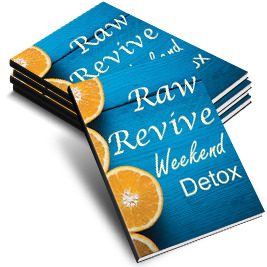 This 6 week detox is your chance to experience the amazing benefits of a raw food mind, body and spirit Detox. This easy step-by-step program gives you the opportunity to experience a lightness, positivity and physical vitality that you haven’t felt in years, with expert guidance and support all the way. Six weeks of simple menu plans, easy shopping lists, delicious recipes and supportive telephone coaching take the hard work out of eating a high raw detox diet. Get really comfortable with easy raw food recipes. Know what food to have in the house so you can maintain a healthy diet. Have recipes, menus and shopping lists that you can come back to time and time again. Understand the mind, body, spirit connection between what you eat and how happily you experience life. Have enough energy, emotional stability and mental clarity to rid your life of stress and exhaustion.